2013 was great. 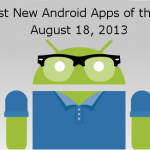 Android apps ruled the market with some truly outstanding apps. 2014 is already underway and the users worldwide are waiting for some great innovative, educative and fun apps. The apps released so far look promising. Take a gander at the latest apps for Android. It is a social app that allows the user to search answers by making use of pictures from people within his/her social networks. • Pose questions accompanied with images. Functionalities allowed with images: crop, zoom, reframe and drawing on the images to specify more. • Works closely with the users social networks. 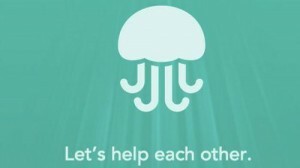 • Questions can be furthered beyond the app for friends who do not use Jelly so that they can help. It is an outstanding communication app that brings the dual benefit of comfort and privacy to face-to-face chatting on the handheld devices like smartphones. It fixed the security issue ensuing with snapchat. This is ideal for people who have been waiting for a private messaging app. • It facilitates a fantastic feature “Confimation Texting”. With the help of this feature, the user can clear the sent message before it is read, if sent to any wrong person. • The user can remain carefree as regards his personal information including social security information and credit card information. • All the images and messages are distinctively encoded in order to protect them from being saved, copied or intercepted. 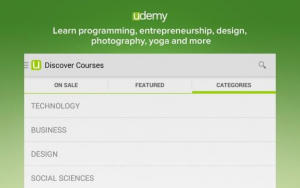 Udemy happens to be largest online stop-over for all kinds of educational courses. The courses offered are programming, entrepreneurship, photography, yoga, marketing, salsa, cake decorating, design and much more. • The user can learn even on the go. The course may include articles, audios, videos, presentations and everything integrated into the course. • Watch courses offline either on the subway or on the plane. 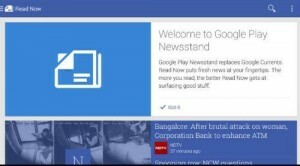 It is new home for all Google current subscriptions and Google play magazines. This app allows having all the news and your magazines on the android phone or tablet. The user can have all the breaking news, articles and other stories at one place. It is an amazing photography app. While taking a group photo, one member had to remain out or a stranger was needed to take a shot. No more of all that. 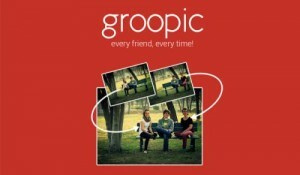 Groopic solves this issue effectively. Just follow the instructions properly. Believe me these mobile applications are amazing and you must download them today taking into consideration their development which promises an out-of-this world experience. Simon is a freelance writer by profession and Technology-enthusiast at heart. 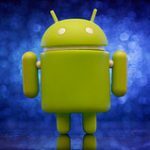 He mainly covers topics related to Technology, Android and iOS Apps, and now days he is passionate to cover and write reviews or issues faced by Android Mobile Application Development services. He prefers and loves to read about the Changing technology trends and review them of his own.